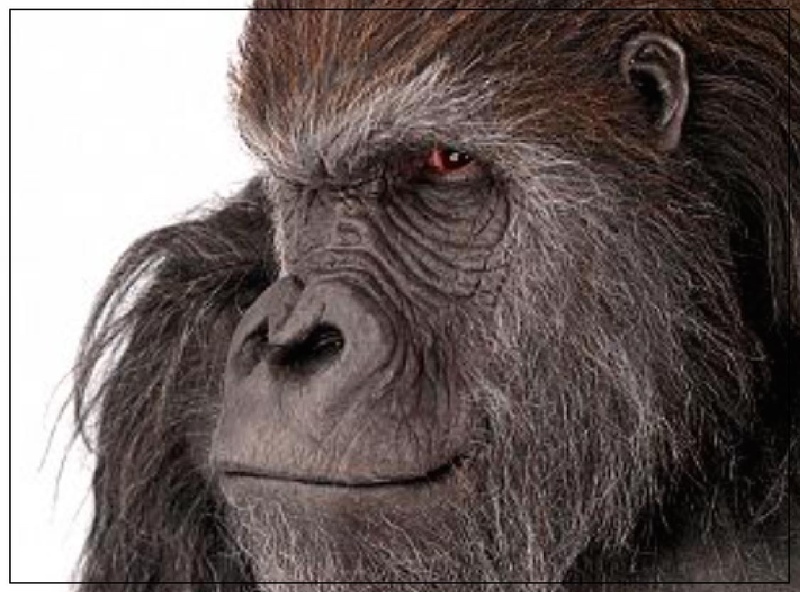 Gerald the Gorilla was created by Millennium FX, one of Europe’s leading screen prosthetics companies. He has silicone and foam latex skin over a muscle suit with custom synthetic stretch fur and an animatronic head. He’s a Western Lowland, the smallest sub-species of Gorilla and is a typical example of a fully-grown large male, standing completely upright at approximately 6’ tall. Gerald is excited to be taking part in Prosthetics Jam, where he will be brought to life by well-known creature performer Aidan Cook and one of Millennium FX’s SFX Producers Karen Spencer.